Included below are homes for sale in South Orange, NJ, in Essex county. These South Orange NJ real estate listings are updated daily from the Garden State MLS (GSMLS). Located in the western part of Essex County, South Orange is a bustling community that offers easy commuter access to New York City, whether it be by car (25 minutes to the Lincoln Tunnel) or train (30 minutes or less on a NJ Transit Midtown Direct express train). South Orange is a 2.8 square-mile community just east of the South Mountain Reservation. Thought fully developed, South Orange still retains some vestiges of its original village life, including gas street lights, utility lines located in the rear of each home to unclutter the streets, and an active downtown business section and many popular restaurants. Sixty-two acres of parkland, two thirds of which consist of Meadowland Park and adjacent Cameron Field, provide five baseball diamonds, 15 lighted tennis courts, a soccer field, duck pond, playgrounds, Baird Community Center and a fine outdoor pool complex and favorite sledding hill. Every four years in a non-partisan election a village president and six trustees are elected. South Orange's historic downtown, hosting many wonderful shops and restaurants, is a pleasure to take a leisurely stroll down, and do a little shopping or have a bite to eat. South Orange has a well respected school district, ranked in the Top 50 out of 328 NJ public high schools by New Jersey Monthly Magazine. 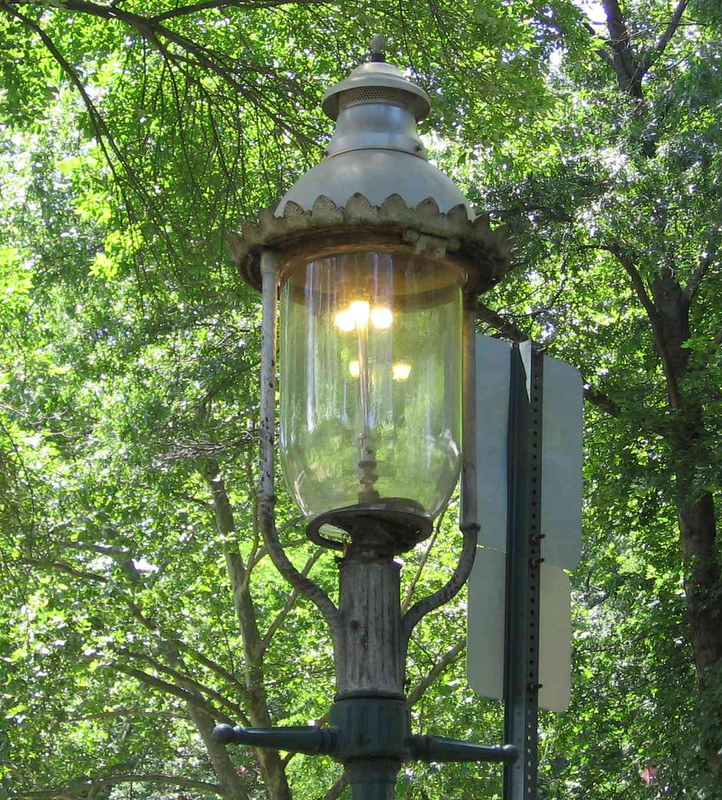 The gas street lights and hilly terrain give South Orange an historic feel unlike any surrounding towns, as do the vintage homes of all sizes throughout the entire town. There is very little new construction in South Orange. Rather, the existing homes are lovingly maintained and their historic architecture very much sought after and appreciated. South Orange NJ is just 10 minutes by car to Route 78, Route 24 or the Short Hills mall, and only 15 minutes to East Hanover's Rt. 10 shopping corridor. Newark Liberty International Airport is a close 20 minutes away. The downtown and local shopping areas offer a variety of unique specialty shops, service-based businesses and professional offices. 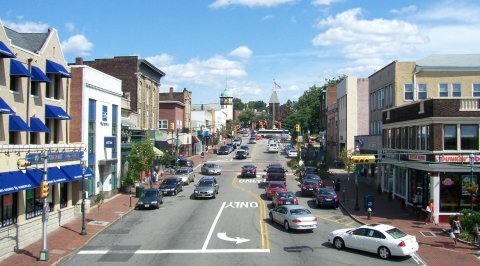 South Orange has a small downtown of its own and is in close proximity to the Maplewood and Millburn downtown areas. You can find just about anything you are looking for in a quaint downtown setting. If you ask anyone in the local area to name their favorite South Orange restaurant, you will most certainly find Toro Loco on that list. Authentic Mexican cuisine in a welcoming setting, it has been a popular destination for decades. But no restaurants in South Orange have been in operation longer than Bunny's Pizzeria & Sports Bar and the Reservoir Restaurant, both of which have been in operation for over 80 years! For fine Italian dining, Giorgio's Ristorante is a popular destination with a wide range of signature dishes, including wonderful soups, salads and main courses, and specials every weekend including special desserts. For Italian dining in a more casual setting, you can't beat Village Trattoria. Well known for their specialty pizzas, they also serve delicious pastas, salads and sandwiches. And don't miss Pandang for Thai cuisine, Ariyoshi for Japanese cuisine or Falafelly Yours for Middle Eastern cuisine . And of course, no downtown would be complete without a Starbucks, Dunkin Donuts, Carvel, Cold Stone Creamery, Village Diner or Tito's Burritos and Wings. And if you prefer to cook yourself, you won't want to miss Ashley Marketplace & Cafe, a full service gourmet grocer nestled in the center of downtown South Orange. On the second floor of the marketplace is Above, a fine dining restaurant with a clever name that doesn't take itself too seriously. In addition to delicious main entrees, you'll find pizzas and burgers not found elsewhere. The Surf and Turf burger, for example, is a 10 ounce burger with a 4 ounce lobster tail accompanied by grilled pineapple and french fries. Yum! Buses and trains provide easy access to New York City as well as to Hoboken, Newark and Jersey City. 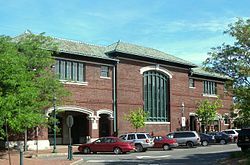 Located on the NJ Transit Morris & Essex train line (also referred to as the Midtown Direct train line), the South Orange train station is a classic. 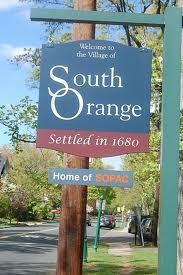 Many homes are within walking distance which makes living in South Orange even more attractive. Express trains from South Orange take only 30 minutes to New York City. Relax, sleep or work on new double decker trains and arrive at work fresh and ready to start the day. Commuter parking lots are available for residents although there is a long waiting list so apply as early as possible. In addition, buses pick up commuters at various points in town. South Orange is a quick 20 minutes from Newark Airport and is close to major highways. Consistently highly ranked by New Jersey Monthly Magazine and other publications, the South Orange school system has a long tradition of academic achievement and excellence. It offers a large number of advanced placement courses as well as diverse electives and extracurricular opportunities. The school district is shared with Maplewood, and all Maplewood and South Orange students attend the same high school (Columbia). For more information about the South Orange school system, please visit the South Orange School District website. Since 2006, SOPAC (South Orange Performing Arts Center) has been serving as a premier performing arts center in the region. It presents diverse performing arts programs that include arts education partnerships and programs for people with disabilities, delivers artistic, educational, and innovative experiences within an intimate, inviting environment, and promotes regional involvement in the arts, serving as a catalyst for economic development and continued revitalization of South Orange’s Central Business District. Inside SOPAC is a 415-seat, state-of-the-art live performance hall where each seat is close to the stage. In addition, SOPC has five movie theaters, operated by Clearview Cinemas, providing a total of 600 seats for viewing first-run independent, foreign and family-friendly films. The spectacular third-floor SOPAC Loft, outfitted with two walls of windows providing great views of South Mountain day or night, holds 145 people comfortably for private and corporate functions. And an adjacent professional-grade full-service catering kitchen makes it the perfect rental space. Arts Room, Baird Pre-School, Kinderenrichment and Senior Services Unit offices. Most programs presented by The Baird are held in this facility or in the surrounding park. Electricity and gas are provided by Public Service Electric & Gas (PSE&G). Water is provided by the East Orange Water Commission. Garbage collection is provided at an additional charge by South Orange Disposal. Depending on the service chosen, trash is picked up either once or twice a week. There is an active recycling program with pick up every two weeks. A drop off recycling center is located at 300 Walton Avenue. Want more information about any of these South Orange NJ homes for sale? Just click the "Request More Info" or "Schedule a Showing" button when viewing the details of that property. 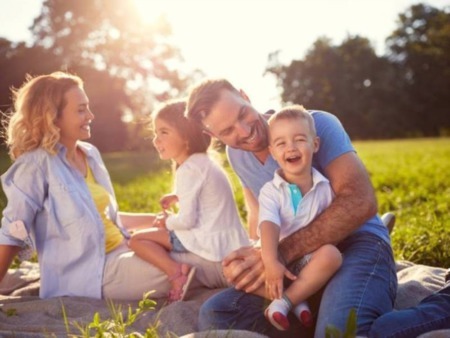 As New Jersey luxury real estate experts, we not only have access to the property disclosures and past sales history of each property, but the local knowledge to help you interpret them. We can also provide you with dates and prices of nearby homes recently sold in the South Orange area, and more.